This is the first of a series of quick outfit posts. I’ll give you the details of my Instagram pictures! On Friday I can wear jeans at work and I always take advantage of this day to dress super cozy. I just got this shirt and it is loose, comfy and on sale! And these white jeans are the result of a looong search! July 24, 2015 in Instamood. Hi Eni! You’re welcome, I’m happy to be your friend! I love your blog too! 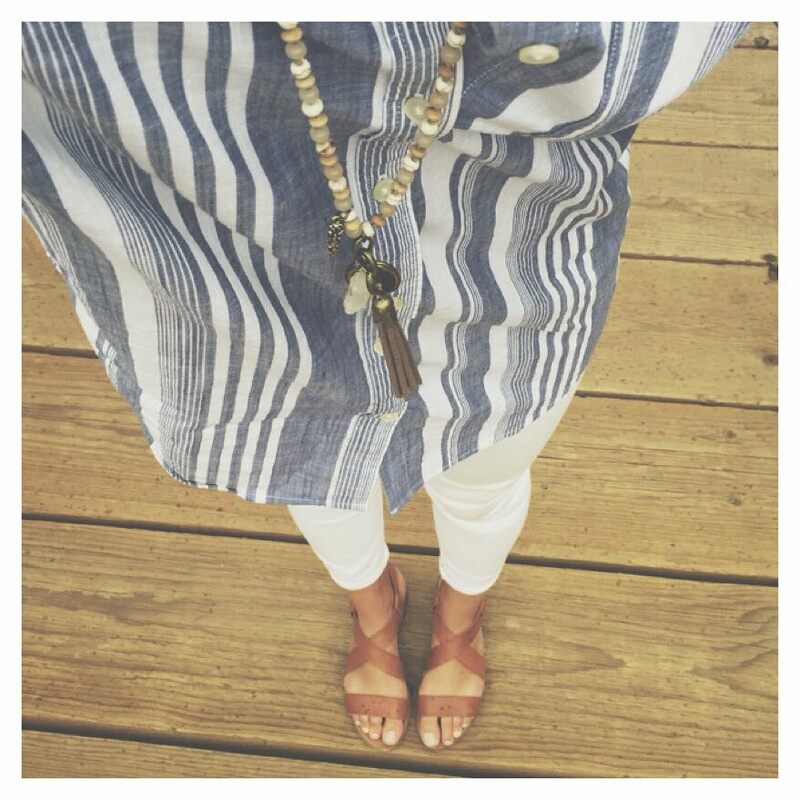 Love this outfit, and the white jeans! You look fabulous! Nice to meet you.